The emphasis on aesthetic outcomes and quality of life after breast cancer surgery has motivated breast surgeons to develop oncoplastic breast conserving surgery (OPS). Training programs are still rare in most countries, and there is little standardization, which challenges the scientific evaluation of these techniques. This systematic review aims to assess oncological and cosmetic outcomes of OPS. After a strict selection process with precise inclusion and exclusion criteria, oncologic and aesthetic outcomes of oncoplastic surgery were searched, using the MEDLINE database up to September 30th, 2017. Available published literature was classified in levels of evidence. After a thorough screening process, only studies with the best level of evidence were included on selection. Systematic reviews and meta-analyses were not included for methodological reasons. Titles and abstracts of 2.854 citations were identified and after screening 15 prospective studies including 1.391 patients were reviewed and scored in detail. Local relapse was found in 2.8% of cases with a wide range of follow-up (from 6 to 74 months). Close margins were retrieved in 11% of cases and positive margins in 9.4% of cases. Mastectomy was implemented in 6.9% of breast cancer patients to whom OPS was performed. Good cosmetic outcomes were detected in 90.2% of patients undergoing OPS, leaving open issues for who should perform cosmetic evaluation and which method should be used. Tumor margins, mastectomy rates, and cosmetic outcomes of OPS have to be further improved by standardizing various aspects of OPS. Research efforts should focus on level I evidence assessing both oncological and aesthetic outcomes of OPS and survival rates. International Agency for Research on Cancer (IARC). 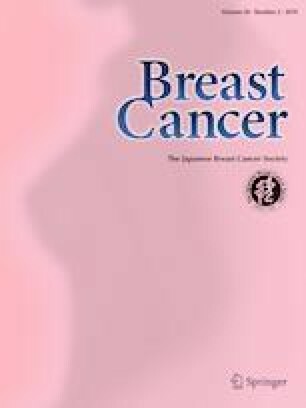 World Health Organization, GLOBOCAN 2012: estimated cancer incidence, mortality and prevalence worldwide in 2012. http://globocan.iarc.fr/old/FactSheets/cancers/breast-new.asp-TOP. Accessed Dec 2016. Oxford Centre for Evidence-based Medicine e levels of evidence, 2009. http://www.cebm.net/index.aspx?o=1025. Accessed 1 Apr 2013. The CONSORT (Consolidated Standards of Reporting Trials) Group. http://www.consort-statement.org/. Accessed 1 Apr 2013.